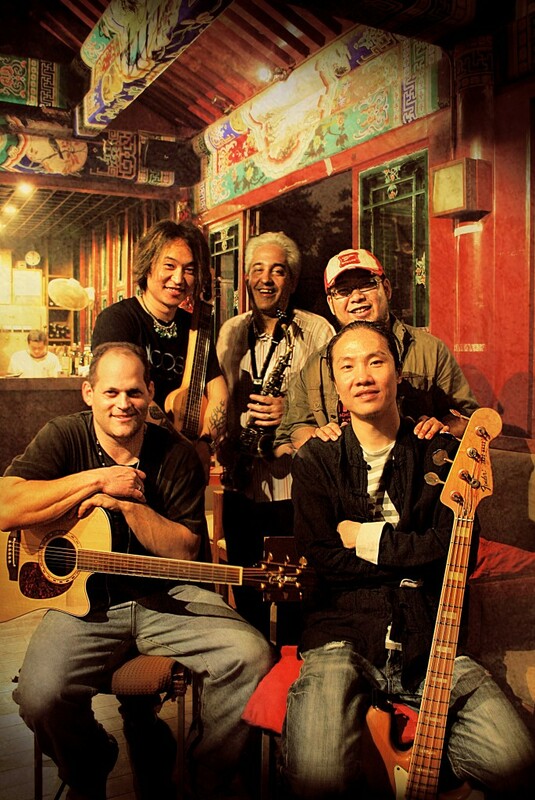 Teaching “Tight but Loose.” Introducing my Chinese bandmates to the music of the Allman Bros. 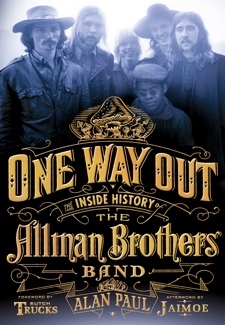 Please click here for an excerpt from Chapter 8, Into the Great Wide Open, annotated with photos and videos. 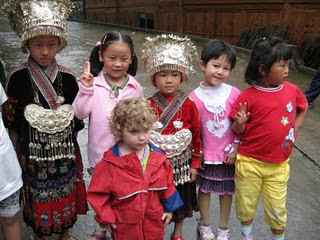 It is all about traveling to remote Guizhou, China with kids. At this remote Miao village, two-year-old Anna was as big of a photo attraction as the little girl dressed in traditional clothes. Please click here for: The Ecstasy of the evangelist. Preaching the blues in Changsha, an excerpt from Chapter 30, Bittersweet Surrender. 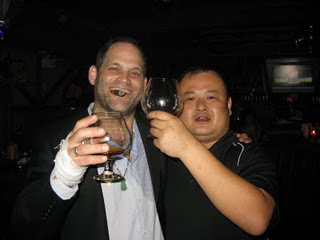 With my drunken patron post-show in Changsha. He insisted on plying me with Cuban cigars and Courvoisier. Through the Looking Glass is taken from Chapter 3, Across the Great Divide. As always, feedback is welcome. Happy reading. Alone every morning, as Rebecca immersed herself in a demanding, intimidating new position and the kids headed to school, I realized quickly that I needed to stay on the move. With my new mountain bike, I started making exploratory rides around the area, often ending up at a nearby Starbucks, which I turned into my office, checking email and writing blog posts. I embraced my new anonymity, feeling that it represented a profound opportunity to hit the reboot button on my life. It felt like we had stepped through a looking glass, fallen through a rabbit hole and emerged in a parallel universe on the other side of the world. With my wife and kids occupied and everybody else I knew 6,800 miles away, I was free to explore. It felt like I was winking at life and getting away with something. I was energized by the raw thrill of being enmeshed in two new worlds: Beijing and Expat Land. I met an eight-year-old girl whose mother was Indian and father Dutch but who had never lived anywhere but Beijing. Eli became good friends with a five-year-old British girl with a perfect English accent who was born and raised in Hong Kong. At one school assembly, the principal asked how many kids spoke four languages and 20 percent raised their hands. All of this would soon seem normal but it amazed me in those early days. Back home, I was a pretty worldly guy; now I felt like I had just fallen off the turnip truck. It took me most of the year to quit assuming that every five-year-old with a proper British accent knew more than me. I also quickly learned that in Expat Land, I was a “trailing spouse,” a term I found demeaning for anyone and downright emasculating for a man. This wasn’t all new to me. I had not set foot in an office for a decade, and as our kids’ primary caregiver I was used to being the only adult male in a room, having chaperoned field trips, helped kindergarteners cut and paste and been surrounded by mothers at countless midday assemblies. But the dividing line was much sharper in Expat Land. We had uprooted our family and moved to the other side of the world for someone’s job, and it was not mine. 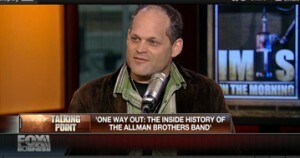 I also had a certain cool cache back home, as the guy who wrote about music and basketball and didn’t have to shave. Now I was just the dad without a job. 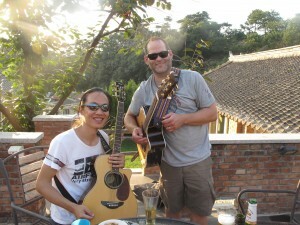 This story is excerpted from Big In China: My Unlikely Adventures Raising A Family, Playing The Blues and Becoming A Star in China (Harper). Copyright 2011 by Alan Paul. My day-to-day existence was being transformed, with the band moving from a fun little side project into a far more central place in my life. This all felt normal in Beijing, where growth and change were the only constants and anything felt possible. I had even taken up hockey, despite not having skated in 20 years. A dozen of us who had never held a stick before took up the sport after Canadian friends turned a nearby tennis court into a mini ice rink. We improved rapidly and soon actually considered ourselves hockey players, resenting our group’s official name: “Monday Night Learn to Skate.” None of this reinvention felt disorienting. Not in Beijing, where the whole landscape was being transformed. I would have had to spin a cocoon and emerge as a butterfly to match my surroundings’ pace of change. In this atmosphere, sitting still or staying the same would have been the strangest, most radical move of all. In that environment, remaking yourself—just hitting the reset button and starting over—seemed like the most natural thing in the world. It was happening all around me: there was the journalist running restaurants and bars; the doctor with a thriving export business; the teacher designing T shirts; the Italian musician selling antique furniture; the Boston bakery owner hanging his shingle as a sports marketer; and the British banker directing an art museum. Anything felt possible and the only crime was setting your sights too low. The whole sprawling metro area often felt like a giant construction site, literally evolving in front of our eyes, making life in our rust belt hometowns seem positively glacial. Even in New York, projects like the World Trade Center site could take years to get off the ground. When we arrived in Beijing two years earlier, our compound sat on the edge of urban sprawl, with the countryside lapping up against the walls. Now, many humble local businesses had been replaced by higher-end establishments; fields had become shops, compounds and highways; and the formerly dusty, dingy Jing Shun Road was lined with trees, bushes and flowers after a beautification spurred by the Olympics, which were now less than a year away. I saw sections of the road transformed from morning to evening. When a friend mentioned that a major construction project had begun on a quiet country road lined with fields and man-made fishing holes, I jumped on my bike and pedaled over. The field was filled with earthmovers, cranes, huge drilling apparatus and dozens of workers. The farmers who usually dried their corn there in the fall were nowhere to be seen. Pylons were rising for a new elevated highway that would transform the area, with flyways and a massive concrete structure cutting through what was now a village, many small businesses, light industry and farmland. Dust already covered everything and blocks of nearby small businesses, homes and factories had been reduced to piles of bricks, which were being carted away by mule-drawn carriages. Though I wondered about the displaced people and mourned the loss of the country feeling—I liked the feeling of living on the frontier—I refused to talk about how things used to be; I’d only been there two years myself. Everyone’s view of “normal” starts the moment they arrive and the one thing that wasn’t going to change in Beijing was the constant change. Wanting to document all of this in a column I spent a day driving around with a translator, asking people what they thought about the new highway. Inside the Kite Market, some vendors said the highway would bring more customers but most insisted that it wouldn’t affect them—though the construction was literally casting a shadow on them. They all spoke with an odd mix of fatalism and optimism I couldn’t relate to. They believed that they couldn’t do much about whatever was happening and it would probably be for the best anyhow. Where was the lady who sold me the little turtle for Anna? The butcher selling pig’s hearts? The peasant fruit vendors who had asked how much of a fine I had to pay for having three kids in America and couldn’t understand why I didn’t have at least five if the government didn’t stop me? None of them were anywhere to be seen and the remaining vendors claimed to have no idea where they had gone.